Last week we released Tap by Wattpad to the delight of the global Wattpad community. Tap by Wattpad is a free app for short, chat-style stories. The stories unfold via chat messages, as if you’re reading someone’s text conversation. You move the story forward by simply tapping to reveal the next part. Today, we’re thrilled to announce an updated version of the app that features a new Create function. Now everyone can create their own chat-style Tap stories and share them with the world! Tap by Wattpad is the first chat-style storytelling app to offer a Create function for both Android and iOS devices. The updated app is available for free on iTunes and the Google Play Store. With thousands of free chat-style stories available on the app, Tap is a fun new way to immerse yourself in stories. We’ve already seen phenomenal interest in the new app. Since the release of Tap by Wattpad, we’ve seen over 125 million taps! Buried Alive - A man is kidnapped and buried alive. He texts his wife for help, only to discover something sinister. Academy Awards - a text conversation between Meryl Streep and a member of the Academy of Motion Picture Arts and Sciences who asks her to please stop being such a good actress. Virtual Boyfriend - Allison downloads a Virtual Boyfriend app and begins chatting with him. Things get creepy when her ‘boyfriend’ turns out to be the ultimate stalker. There are hundreds of other chat-style stories available on Tap by Wattpad including spine-chilling horror, steamy romances, nail-biting dramas, and much more. For over a decade, Wattpad has been a global leader in the social storytelling space, We know how much storytellers and audiences value engagement and interaction throughout the storytelling process. 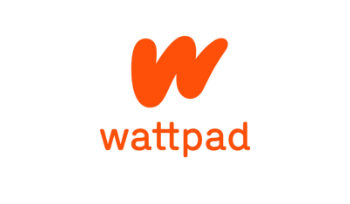 Tap by Wattpad is our latest effort to make storytelling more mobile, social, and immersive. We’ll be announcing new features for Tap in the coming weeks, so be sure to keep an eye on this blog. In the meantime, let us know what you think about Tap by Wattpad by leaving a review on iTunes and the Google Play Store.